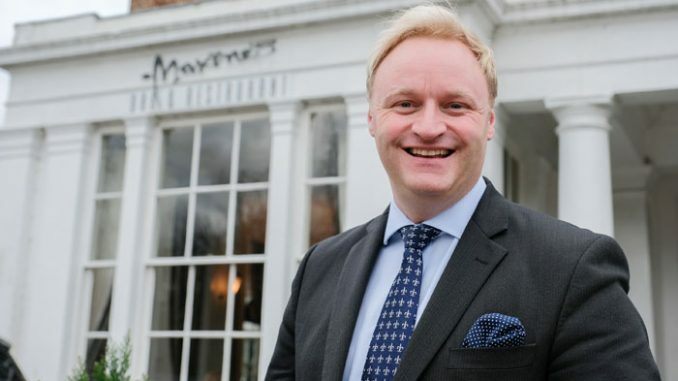 The Bannatyne Hotel Darlington has appointed a new general manager to run the signature hotel. Neil Slade, 41, brings a wealth of experience to the role, where he will manage the day to day running of the historical town house. Originally from Middlesbrough, Neil has built a successful career in the hospitality industry spanning thirty years, with managerial positions at leading hotels and premium health facilities in the West Country. After moving to Falmouth in Cornwall as a young boy, Neil began his life-long love of hotel management at the tender age of 11, when he began helping out after school and during the weekend with porter duties for a small family run-hotel. His most recent post as hotel manager, at Headland Hotel in Newquay, saw Neil increase the award-winning hotel’s rating from four to five stars, an achievement of which he is exceptionally proud. Neil has recently moved back to the North East to be closer to his family, and was delighted to be appointed as general manager at the landmark hotel in Darlington. Duncan Bannatyne’s signature hotel, Bannatyne Hotel Darlington, is a Grade II listed Georgian town house set in beautiful gardens in the fashionable West End of Darlington. The hotel features the popular restaurant, Maxine’s, which has gained an enviable reputation for superb food, great variety and excellent service. Neil said: “Coming home was so important to me, not just for my family but to reconnect with the North East. Alongside his role at Bannatyne Hotel Darlington, Neil is also heavily involved in volunteer leadership, where he is committed to developing his passion for youth work at the UK Scout Association. Justin Musgrove, CEO of The Bannatyne Group, said: “Neil is a fantastic addition to the Bannatyne Hotel Darlington. His expertise in hotel management gained over his career will be a real asset.